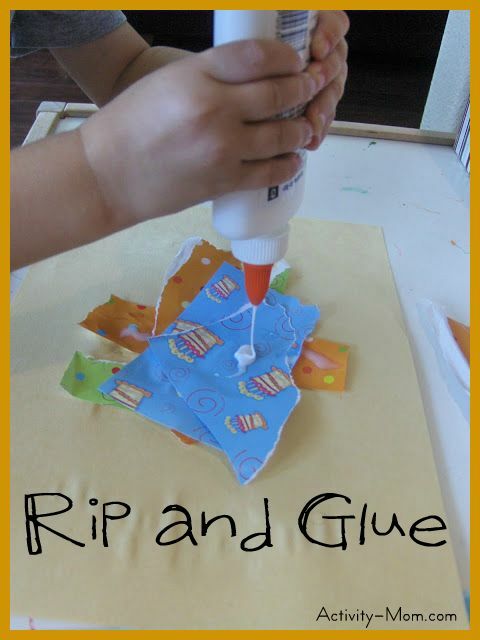 I decided it is finally time to get over the fact that glue can be messy and let B experiment with it. So we sat down to rip and glue paper. What an EASY activity! B really loves using the glue and he doesn’t make a mess like I thought he would. I thought it was interesting that he insisted on gluing the pieces of paper in a pile instead of spreading them around like I tried to show him. B had trouble ripping the paper. So this activity also turned into fine motor skill practice. I had a hard time getting over the fact that some projects will be messy. I still haven’t given M&M a bottle of glue to squeeze out. I give her glue sticks. It is so funny that he piled the papers up – M does that too! I just don’t get it. He will completely cover up what he’s just worked on instead of spreading things out, lol! I’m glad to hear he is not the only one now. 🙂 And, really, I think tearing and ripping paper is harder than it seems. M would much rather cut with the scissors – he just isn’t into the ripping thing either and will give up. Good luck with all your *messy* experimenting! Ripping is an extremely hard concept for little ones. At school I try to have activites out for them to practice this a lot. Wow, it’s like you and Katie from Katie’s Nesting Spot had the same idea at the same time! (I just visited her blog a few minutes ago.) You know what they say about great minds. 😉 Way to go! I’m so happy to see you guys getting a little messy with the glue. Love that he piled the papers as opposed to spreading them out. 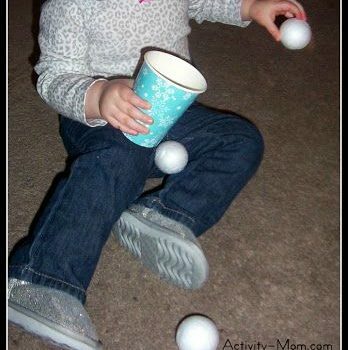 Isn’t it funny how kiddos can have such exact ideas in mind and we never would have thought to do it that way?